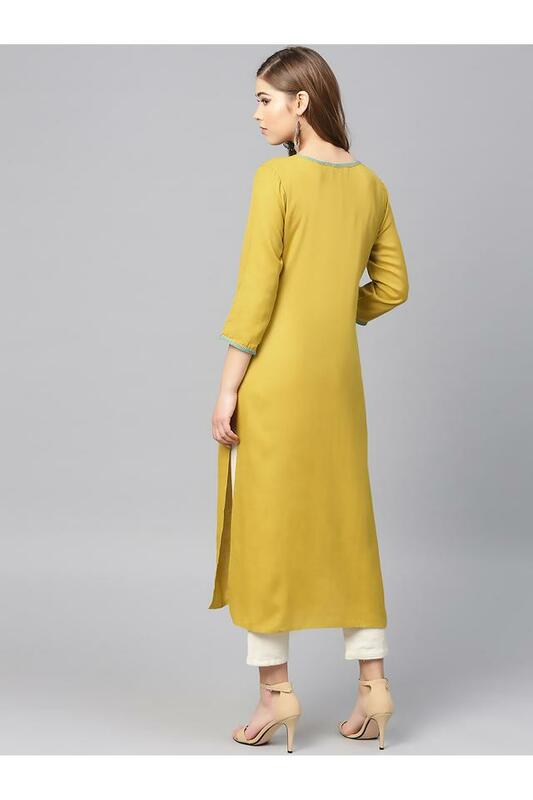 Simple yet stylish, this kurta brought to you by Varanga will be an excellent pick for you. It features a solid pattern that accentuates its look, while the round neck further adds to the design. Furthermore, it has been crafted from a premium quality fabric, which promises to keep you at ease all day long. Upgrade your clothing collection by adding this classy kurta, which comes with a solid pattern. Featuring a round neck, it also comes with three quarter sleeves that add to its design.